It is hard not to get caught up in the spirit of these major events. With so much media attention on them and the best athletes in the Commonwealth taking part, it becomes a daily talking point at home and in the office. So why not harness this spirit and create your own Commonwealth Games at work! It will be fun, it will be timely, and it will be great for team bonding. Not only that, it will be easy to organise as team building specialists like us can tailor an event to suit your requirements. I’m not a sport’s fan myself but I find myself swallowed up in the hype every four years. My first recollection of them was the Melbourne 2006 Commonwealth Games when I was a teenager and now it’s exciting again to have them close by. As a company, like many schools do as team building activities for students, it can be an awesome experience for your staff to get into the spirit of the Commonwealth Games. 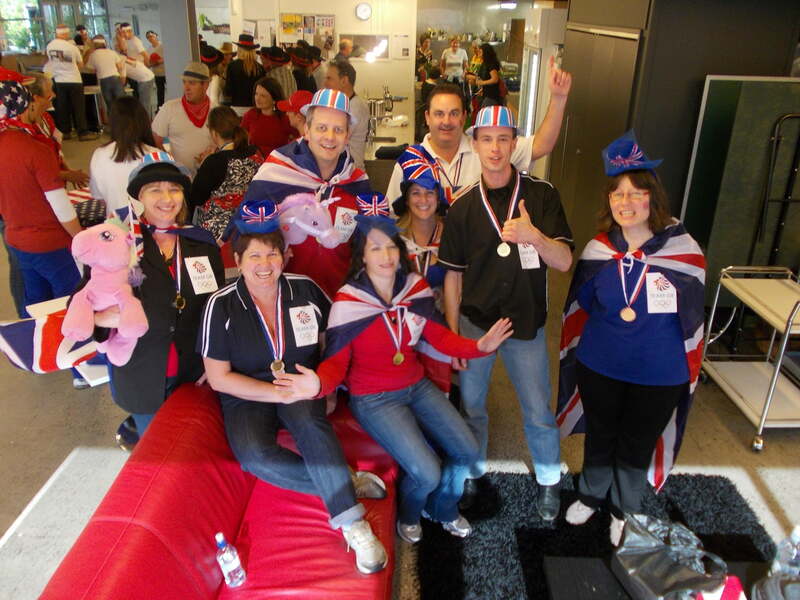 Holding a team building event themed around the Games can boost morale and team spirit in your workplace. It will do wonders for your culture and, you never know, you might just uncover some hidden talent as well. There will be some fun competition between work colleagues and it will provide a platform for your team to bond as they talk about their favourite sports and athletes, and the results from the activities. There a number of options for team building events themed on the Commonwealth Games, really limited by your imagination. However, to give you some inspiration, here are four of my favourites. This program can be held over two to three hours in either a large indoor or outdoor space. Your group will be divided into teams, each to represent a nation from the Commonwealth. To get started, each team creates their own anthem and performs it to the entire group during an opening ceremony. Then the competition is underway as teams participate in a number of different activities and sports, the same or similar to those held at the Games, in pursuit of valuable points. A medal ceremony concludes the program with the top points-scoring team recognised and presented with their replica gold medals. This program can also be adapted for the beach to add an even more refreshing but challenging competition environment. This program can be held over a half day or full day depending on your numbers and which sports you would like to play. You could choose Commonwealth Games sports like basketball, badminton, beach volleyball, lawn bowls, netball or table tennis, or a combination of these, and we’ll put a tournament together to suit your group. The beauty about these sports is that anyone can have a go and have a fun time learning the rules and skills involved. We can theme this program around the Commonwealth Games with teams representing nations and special opening and closing ceremonies for your group. This is a great option to have over lunch or dinner at a nice indoor venue in the lead up to or during the Games. With your group divided into teams, this competition is designed to test your knowledge on participating countries and sports, as well as the Commonwealth Games. Perhaps each team can come dressed in attire to represent a Commonwealth nation! For something a little different, why not tap into the artistic talents of your staff and theme our Art in a Day program around the Games. Teams are challenged by a series of team bonding activities to determine the quality of the materials they have to work with. Then it’s over to their creativity to create a canvas to represent the Commonwealth Games or an element of the Games, possibly a prediction of the medal tally or gold medal winners. As you have read, these are team building programs that can be held at any time during the year but can easily themed or tailored for the upcoming Commonwealth Games. So, get into the spirit and go for gold with your work colleagues!